Fall has a way of sneaking up on us, subtly, on the heels of summer's frenzy. It then envelops us with colorful perfection we wish would never end. Such is the case this time of year around Driggs, Idaho. Indian Summer: those glorious days after the first snowstorm or two, when sunshine returns, mosquitoes are gone, nights are crisp, and leaves begin changing. Perfect for adventures. 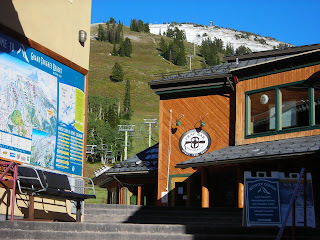 Meanwhile, Grand Targhee ski resort eagerly awaits the inevitable forthcoming powder days. It's been a bike-centric couple of weeks, beginning with Labor Day weekend rides in Park City, Utah. 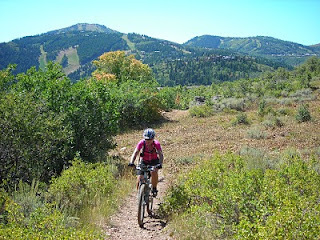 Joanne joined me for a classic loop from Jordanelle Reservoir, to Park City, up around Deer Valley, and back. 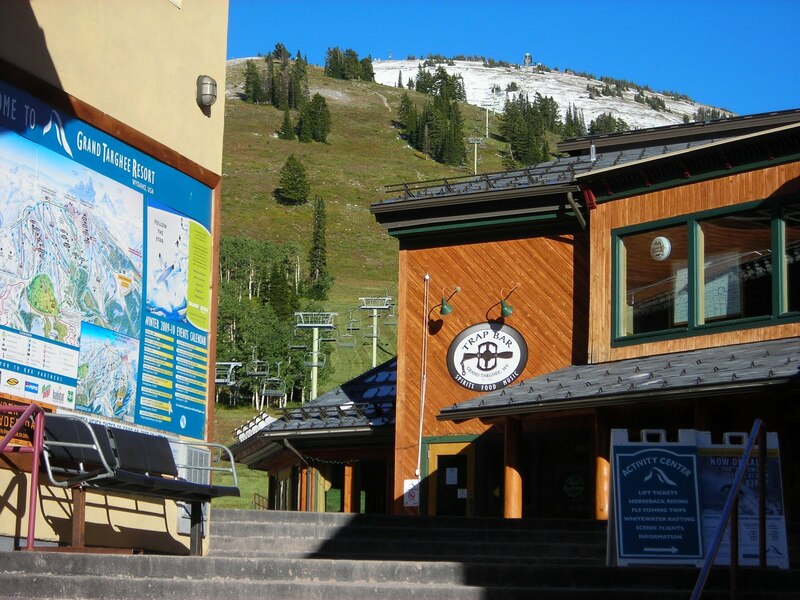 The beautiful thing about riding in Park City is you're never far from a St. Regis, or Waldorf, or comparable resort if you need to powder your nose. 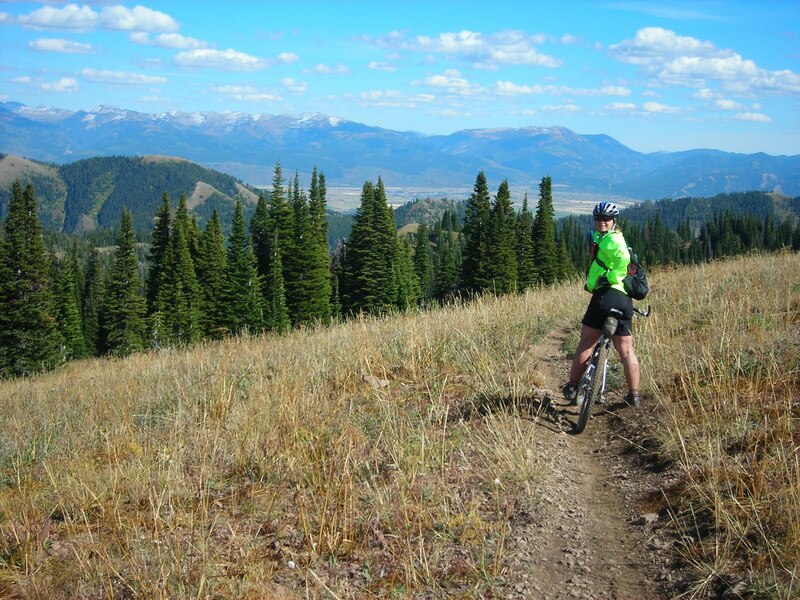 Oh yeah, and the singletrack is sublime. Two-wheel mania continued the following weekend, with LOTOJA. I did the race as part of a great 5-person relay team this year, and it was another terrific experience. 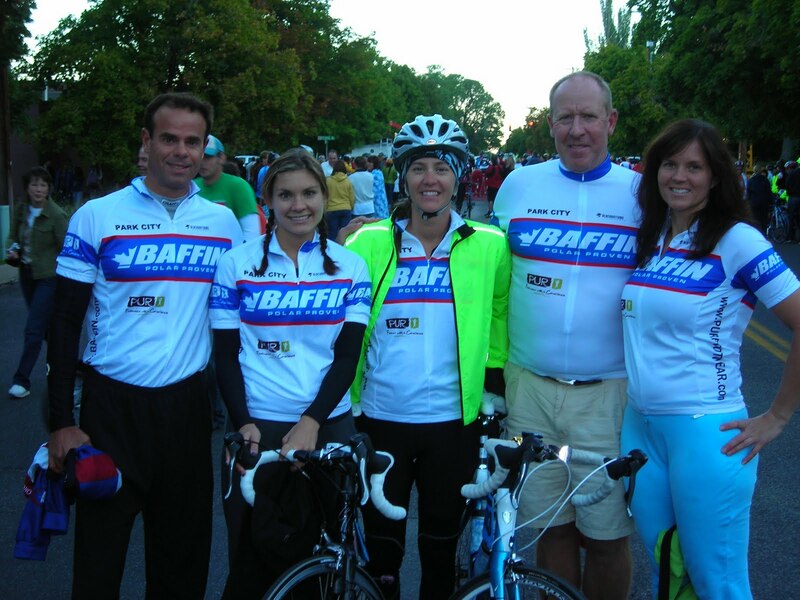 Teammates Ashley, Stacie, Sara and Tim all rode like rockstars, and we cemented friendships that surpass the race. 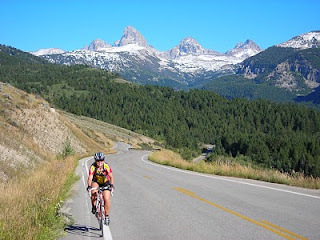 Good times training, strategizing in Logan the night before the race, and especially celebrating in Jackson Hole after crossing the finish line. Shake 'n Bake! This week is our 17th Anniversary. Naturally, Joanne & I celebrated by doing a favorite mountain bike ride to the top of Garn's Mountain, west of Driggs. Sitting on top, at 9,000 feet with 360-degree views, we recognized how fortunate we are to have experiences like this, in a place like this. Enjoy the ride, wherever you are. Hey Rick some great pics of the fall scenery. Congrats to you and Joanne!